There are plenty of credit cards out there offering rewards programs to their loyal customers, primarily in the form of cash back or rewards points. If you are a frequent traveler, then the type of program you may prefer instead would be one that gives you airline miles for every dollar you spend on the card. These cards not only give you a certain number of miles or points that you can apply toward booking future travel reservations, but they also afford additional perks and privileges that are exclusive to cardholders. However, like all things, some are better than others. With airline miles cards, you want to make sure that you have the ability to earn as many miles as possible on each purchase and the freedom to redeem your earnings whenever you wish. Then there are the factors by which every credit card should be judged, such as interest rates, fees, and how easy it will be to get approved based on your credit score. Some of these cards cater strictly to those consumers who have the best credit histories while others might be more permissive of those who have less than excellent scores. We’ve done some of the work for you in identifying the ten best airline miles cards that are currently available at the moment. Check out the cards we like the most and maybe one of them will be the right one for you. There’s no annual fee for the first year, but the Sapphire Preferred card does come with a $95 fee every year after that. You also don’t get any type of 0% introductory APR, either. That may not be a problem for some consumers since the card has a very attractive rewards program and a pretty good signing bonus offer as well. Chase will give you 50,000 points upon spending $4,000 within 90 days of owning the card. All purchases earn you one point for every dollar and 2X points on all travel and dining purchases. As your points accrue, you can use them for booking reservations for future trips both here and abroad. 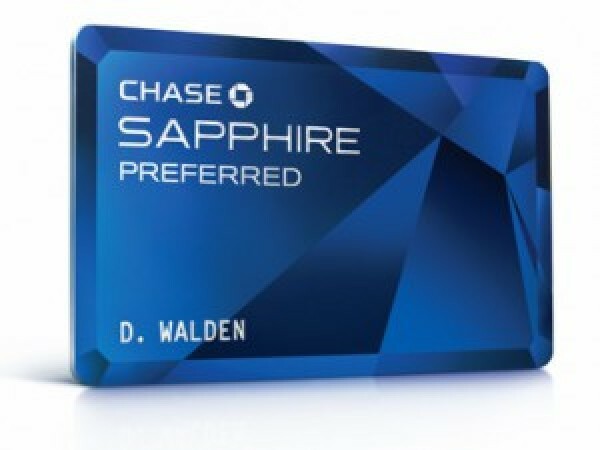 Though it lacks an introductory APR, the Chase Sapphire Preferred does have a reasonable rate that is variable. Fees: $0 annual fee for the initial year. $95 each year after that. Perks: Chase offers the Ultimate Rewards Booking Tool to help you book reservations with your points. Should you lack the required amount for a full purchase with your points, the tool allows you to apply cash to that purchase as well. You can also get a discount on many travel purchases made through the Booking Tool, up to 20%. Drawbacks: You need excellent credit to get this card. This MasterCard from Barclaycard gives you 50,000 miles right off the bat when you make a minimum of $3,000 worth of purchases within the first three months of receiving your card. When you redeem your miles you will receive credit towards travel purchases at a rate of 10,000 per $100 that may be applied towards a portion or in full on any travel purchase that is made within the previous four months. Plus, you can earn 2X miles on every purchase. So that’s two miles for every dollar spent on your MasterCard. Best of all, your miles will never expire as long as the credit card is active. You may use those miles whenever you wish. APR: 16.24%, 20.24% or 23.24% Variable, based on your credit. There is a 0% introductory APR, but it’s only good towards balance transfers for up to 12 months and only if those transfers are made within the initial 45 days of opening the account. Perks: The card has all of the requisite consumer protections so you’re not responsible for fraudulent purchases and it will even reimburse you for any nonrefundable cancellation or change fees should a trip you purchased with the card be interrupted or canceled. It also comes with MasterCard World Elite concierge and luxury travel benefits giving you complimentary round the clock travel and concierge assistance. You can also get your FICO scores for free. 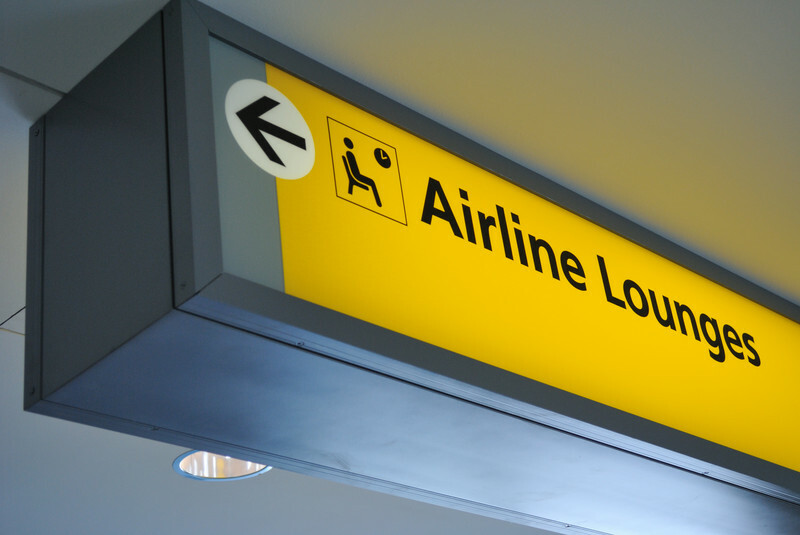 Drawbacks: The annual fee may not be worth it if you’re not a frequent traveler. 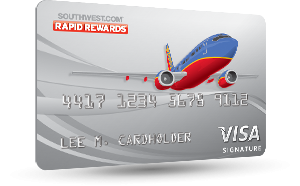 Anyone who flies Southwest consistently should consider going with the Southwest Rapid Rewards Premier Credit Card. Every dollar you spend earns you one point which you can apply to booking a flight to any Southwest destination, anytime. That’s because your points will never expire and, more importantly, you won’t have to dance around any blackout dates. You fly when you want to fly, not when Southwest tells you it’s okay. Use the card at merchants who are Rapid Rewards partners and you can earn 2X points as well. They will even give you 6,000 points upon every anniversary during your time as a cardholder. Perks: Like many of the cards on this list, you can earn an initial bonus for your first three months of spend. 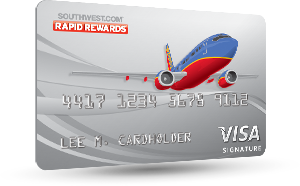 However, the Southwest Airlines Rapid Rewards Premier Card has one of the better offers out there, giving you 40,000 points on just $1,000 worth of purchases in the first 90 days. Drawbacks: Your credit score needs to be 720 or higher to take advantage of all the things this card delivers. The Venture Rewards card from Capital One has all of the best attributes you would expect from an airline miles card. You get two miles for every dollar you spend on every purchase, not just those from a participating merchant. It also has the obligatory signing bonus of 40,000 miles for $3,000 on purchases made in the first three months. That’s equal to a $400 “thank you” just for signing up. However, what really makes the card attractive is the annual fee. Not only is it waived for the first year but it’s only $59 every year after that, which is the lowest annual fee on our list. APR: 13.24% – 23.24% Variable, based on your credit. Fees: $0 annual fee for the initial year. $59 each year after that. Perks: There are no blackout dates when you try to redeem your points and they can be applied to making reservations on any airline or any hotel. You’re not restricted in that regard, either. Your miles never expire so they can be used anytime you wish. There are no foreign transaction fees on this card, which is good if you happen to fly internationally on a routine basis. You may even be approved with a credit score of 690, which is lower than most of the cards we’ve found. Drawbacks: There isn’t much about this card to dislike. It’s pretty great all around. This is a card issued by American Express, so it may not come as much of a surprise to see that it has a very high annual fee and comes with super exclusive perks that only frequent travelers of Delta Airlines will be able to enjoy. Your spend earns you miles that are applicable towards travel on the carrier along with 15 other partners. Those purchases can be made anywhere and on anything. You earn one mile for every dollar, but two miles on purchases with Delta and its partners. The card also offers a signing bonus of 10,000 miles after making just one purchase in the first three months. There are other perks as well, including a companion certificate for every year you renew the card, which gets you a free airline ticket for domestic economy travel and reduced price admission to Delta Sky Clubs, just to name a few. APR: 15.99% to 24.99% Variable, based on your credit and “other factors”, according to their website. Perks: Payment flexibility that lets you carry a balance or pay in full each month, your first checked bag is free, priority boarding on all Delta flights, anniversary bonuses of 10,000 miles and 10,000 Medallion Qualification Miles (MQMs) if you spend $25,000 in one calendar year, and 20% discounts on all in-flight purchases. Drawbacks: This card has one of the most expensive annual fees on our list…but it’s not the highest. Everything about this credit card from Chase is geared towards luxury. You can tell from the annual fee alone and the level of perks and advantages you can enjoy just by using the card for purchases. For starters you earn 1.5X points for every dollar spent on the MileagePlus card and 2X points for each dollar spent on United Airlines tickets. However, the biggest reason to own the card is for membership in the United Club airport lounge. 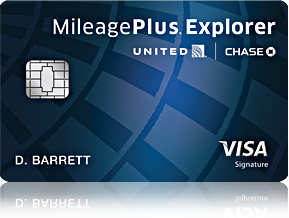 Owning this card gets you access into all of them in addition to other Star Alliance locations worldwide. That membership will cost you $550 a year, so that $450 annual fee is actually cheaper than paying the full amount and you get all of the other perks of owning the card, too. Perks: Besides entry into the United Club lounges, you also receive travel and purchase protection coverage, your first AND second checked bags are free on all flights (those fees can add up to a few hundred bucks a year alone if you travel often enough), and you get access to exclusive events with Chase Inside Access. Drawbacks: That $450 fee each year may turn a lot of people off, particularly since the miles you earn are only available for use on United flights. Who says you can only earn points towards travel by flying the friendly skies? Maybe you’re a frequent traveler who spends more time in hotels than in airplanes. If that’s the case, then we have the card for you. The Starwood Preferred Guest from American Express lets you earn points every time you stay in one of the many properties within the Starwood network. It has a similar sign up offer as the other cards, with 25,000 Starpoints earned after spending $3,000 in three months, and you can earn free nights at more than 1,200 in 100 countries worldwide. There are no blackout dates, either. Best of all, should you need to take air travel in the future you can transfer your points into air miles with more than 24 programs on major carriers. APR: 15.4% to 19.49% Variable, based on your credit. Drawbacks: You may have guessed that the main drawback with this card is you need to be a frequent Starwood customer to get any real value out of this card. Get ready to earn and spend big Avios with the British Airways Visa Signature card. Yes, they’ve made up their own currency for this credit card. Don’t worry, they’re the same thing as typical points you might earn with any rewards program. You get 50,000 of them if you spend $3,000 on purchases within three months, a pretty standard offer up front. However, getting 3X Avios on British Airways purchases is a nice perk if you happen to fly the airline often. You get 1 Avios for every other dollar spent. 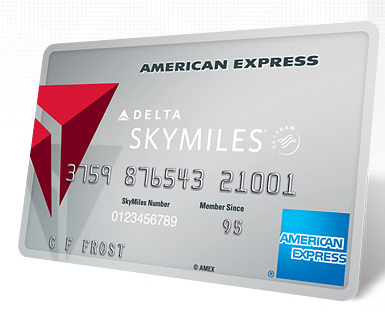 Perks: If you’re a big spender with this card then you can accrue even more Avios, up to 25,000 of them if you spend a minimum of $15,000 within your first year of ownership. Spend over $30,000 over the course of one year and you get a free ticket, you don’t even need to apply your Avios towards it. If you don’t have enough Avios to put towards an entire ticket, you can use the value you’ve earned to bring the cost of that ticket down and pay off the balance in cash. Drawbacks: There are two big drawbacks with this card. The Avios expire after a period of inactivity in collecting or using them and they’re only good for use with American Airlines, US Airways, and Alaska Airlines on domestic flights. If you’re flying international, you have a few more choices of airlines within the One World Alliance network. The JetBlue Plus is issued by Barclaycard and comes with distinct advantages that allow you to earn points faster. It falls towards the middle of the spectrum overall with an attractive signing bonus that yields you 30,000 points on just $1,000 of spend in the first three months. Unfortunately, however, the points you earn are only applicable towards travel on JetBlue. The card excels in the exclusivity department as you can earn 6X the rewards on JetBlue purchases while earning 2X the rewards for every dollar spent at restaurants and supermarkets and 1 point for each dollar on every other purchase. APR: 12.24%, 20.24% or 25.24% Variable, based on your credit. 0% introductory APR on balance transfers for up to 12 months if those transfers are made within 45 days of opening the account. Perks: Redeeming your points is easy to do with your points as there are no blackout dates to contend with and every seat on any JetBlue flight is eligible for use with points. Your points never expire, either. Perhaps most interesting is that the company offers Family Pooling where all the points in your household may be applied towards a ticket. You can also receive 10% of your points back when you redeem them to use toward your next redemption. Drawbacks: Not much, this is a great card all around and it’s even better if you’re a loyal JetBlue customer. This is another airline miles card that comes with a hefty annual fee that also doubles as a membership fee into the airline’s network of airport lounges. In this case, the lounge is the Admirals Club and the airline is American Airlines. 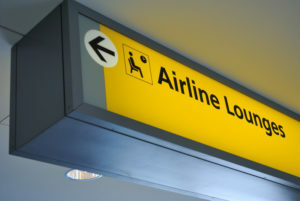 Their AAdvantage program is one of the most popular frequent flyer mileage programs in the industry and the World Elite MasterCard issued through Citi affords members a wealth of advantages and perks that let you earn a lot of miles up front. The Citi AAdvantage Executive World Elite card provides a standard reward on purchases with 2X miles for each dollar spent with American and 1 mile for every dollar spent elsewhere. You can earn a hefty 50,000 miles after you spend $5,000 in the first three months. Perks: The card comes with Citi’s Price Rewind feature which searches for lower price on any purchases that are registered with the bank. Should they find one then they will reimburse you the difference. Of course, the main reason for the card is the access you get at all Admirals Club locations around the world. Plus, you get other travel perks such as a free checked bag for you and a companion, lost baggage and trip cancellation protections, and travel and emergency assistance. 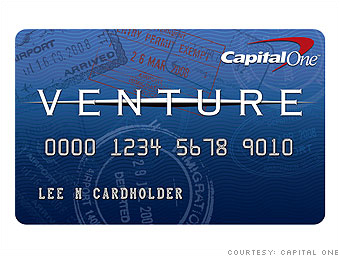 Drawbacks: Unless you’re a loyal American Airlines customer, this card may not be best suited for your needs, especially with that pricy annual fee. As is the case with any type of rewards credit card, you want to be sure that you’re getting a good deal when it comes to what you can earn and how you are able to redeem those earnings. We’ve spotlighted a number of cards on this list that come with an annual fee. There is a whole list of credit cards on the market that offer you rewards such as cash back and points that do not require you to pay for the privilege of owning and using that card. Airlines miles cards are a bit different in that they cater to a certain type of consumer, typically business travelers who would be spending a large amount on travel expenses each year. For these cardholders, hey can not only afford to pay a fee of anywhere from $59 to $450 annually but they will be getting lucrative perks in return based on how much they spend. What it boils down to is pretty simple: an airline miles card may not be the best option for every consumer who is interested in applying for a rewards credit card. The annual fee along with the types of purchases that can earn you the most rewards could make some people think twice about considering one of the cards on this list. However, if you feel that your expenditures could be best applied towards earning miles, then one of these cards is probably going to be your best bet. Your credit score is also going to play a critical role in whether or not an airline miles card is the right choice for you. As you can see, most of them will require scores of 690 or above and if you don’t fall within that range then you won’t get approved. There are rewards cards available where lower scores will still you qualify you for approval, but they may not earn you miles or points that can be applied to travel. In short, if you are only interested in one of these cards just to earn a free trip, then a travel rewards card may not be as advantageous as you think. However, if you are already a frequent traveler with a loyalty to one of the airlines we’ve covered or you seem to spend more time in the air than you do on the ground, then you will definitely want one of these cards in your wallet.